Where to start? Perhaps at the end, actually. Because for the first year in about 8 years (by choice) I have a wedding-free Christmas. 2 weeks of family time, and this particular wedding photographer can’t wait! It’s been a busy year. 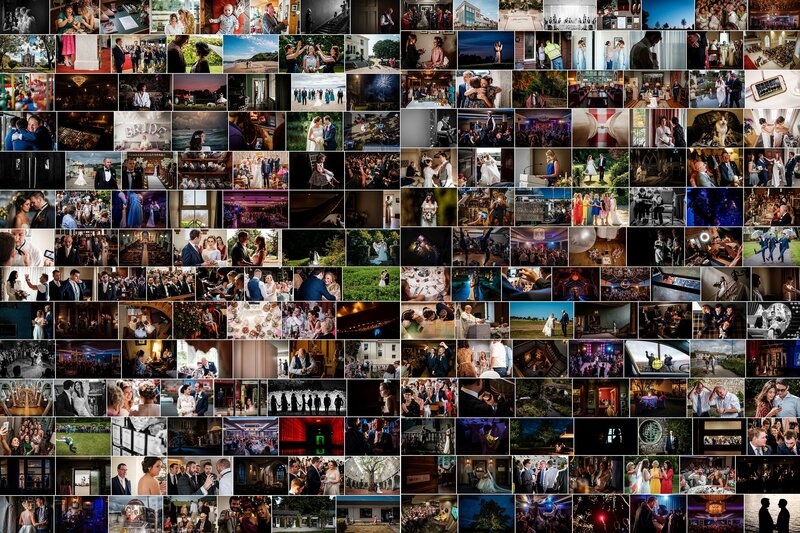 But it’s been a milestone year for my photography, and a year full of fun and memorable weddings. Lots of photos are below (as in, 200 of them) but to save you scrolling (and allow you have a little dance at the same time) here’s my best of 2018 slideshow set to music for your enjoyment. In terms of my photography, this year I really felt comfortable with my gear – cameras, lenses, flashes, everything (even a new SD card holder that I should have bought years ago!). And though I do like shiny new things, this year also I shot more weddings with just two lenses – a 24mm and a 75mm – than ever before, and that was refreshing. I’ve gone back from three cameras to two cameras so that I’m travelling as light as possible, and often – honestly – I don’t feel like the photographer at weddings. And that’s a nice feeling. This year also I was named as a Fuji X Photographer for Ireland – that’s essentially a brand ambassador for Fuji (unpaid – the title is all you get out of it really) but that’s something I have been, unofficially, since I moved to Fuji in 2016. Ask me the right (or is it wrong?) question and I’ll quickly become a Fuji bore. So having the company itself acknowledge my images are of a standard that they are willing to associate themselves with was a really nice thing. My absolute photographic highlight of the year, though, was being invited to talk at the NineDots Gathering in London in November. That deserves a blog post in its own right, but for 35 minutes, although nervous as hell, I had a room full of my photographic heroes listening to me trying to pass on some knowledge, and the response and positive feedback and comments afterwards absolutely blew me away. I got the speaking bug, and I’m glad to know already that I’ll be doing more of that in 2019, but that’s for another day. I am heavily involved in the Irish Professional Photographers & Videographers Association, and did a lot of work this year for the association, not least helping to organise the annual dinner and awards event in April which was (I’m told) the best we’ve had in years so that was rewarding. So, too, was coming away with three 3rd place spots in different categories in the awards, and the 2019 awards season has gotten off to a good start too, so I look forward to seeing where that goes. None of the above, however, would be possible or indeed enjoyable without the lovely couples who trust me to photograph their wedding day in my way and capture memories for them. It’s telling that despite shooting quite a few weddings this year, that I can remember each one really clearly even at this stage of the year. The highlights are too numerous to mention, but the photos below (or in the video above) give you a taste. I will enjoy my two weeks of family time before getting back to it in January. You can look forward to LOTS of blog posts coming this way then, where I’ll elaborate on all those highlights before my 2019 wedding season kicks off. But in the meantime, Happy Christmas to all of you, and here’s to a photogenic and memorable 2019!